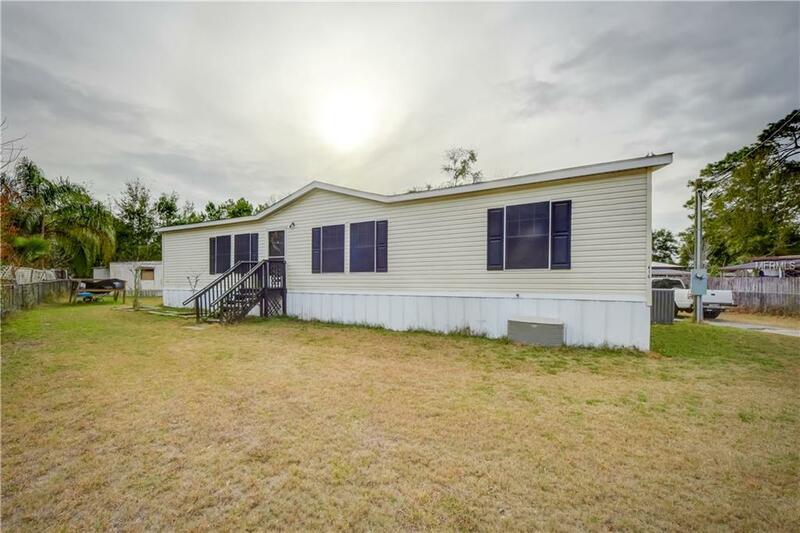 Enjoy living in this fully fenced 3 bedroom 2 bathroom manufactured home in Deland, FL. The living area is spacious and inviting and is open to the kitchen area. Master Bedroom has walk -in closet, garden tub and dual sinks. Spare bedrooms a LARGE with walk - in closets. NEW AC/ Heating ducts, new toilets, Plenty of parking space for an RV or boat as well. On well water but has a water softener/purifier. Close to the International Speedway, Schools, Dining, Shopping, Deleon Springs & the interstate. Short drive to Orlando, Ormond Beach, Daytona & other areas. PRICED TO SELL! All info to be verified by buyer.